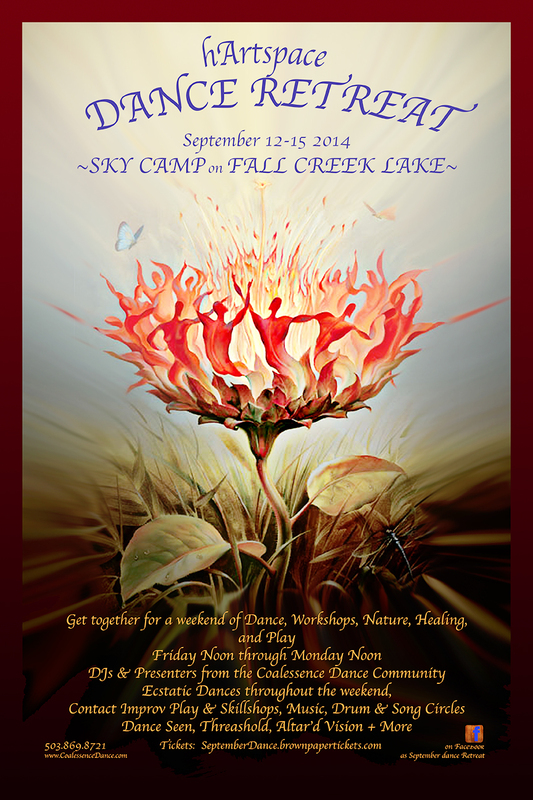 Together we create and deepen our community through working, playing and living together from Friday through Monday. Offering include: Ecstatic Dances throughout the weekend, Contact Improv Play & Skillshops, Music, Drum & Song Circles Dance Seen, Kindred Spirits, AbunDance, Zegg-style Forum, Threshold, Altar’d Vision Live Art & More DJs & Presenters from the Coalessence Dance Community plus Bob Czimbal with Maggie Zadikov and Dj Muse. There will be opportunities for atendees to offer their talents and interests as well. If you are interested in offering one of YOUR gifts, please let us know!